Wonderful Vegan Gifts – a great treat for the skin, whether it’s shampoo, deodorant or moisturiser – what you give your skin to eat makes a big difference. Smart serum with highly concentrated high-tech active ingredients. It’s most powerful feature is its long-term effect. Ingredients include carnosine, a cell booster. See the full range of Vegan Skin Care Gifts where Mother Natures Pharmacy meets High Tech Know-how to give you truly 100% Freshness options and choices. All delivered direct within 4-5 days. 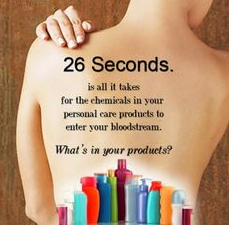 Products arrive between 3-14 days from being blended and bottled. If in plastic bootle – rest assured these are trend making Eco plastic bottles – innovated and derived from Sugar Cane. Otherwise in recyclable glass. What do you feed your skin?